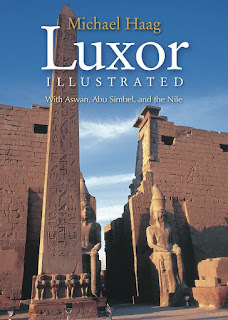 Luxor Illustrated has now been published by The American University in Cairo Press. Though concentrating on Luxor, it also includes all major sites along the Nile from Abydos to Aswan and as far south as Abu Simbel on Lake Nasser. The title is the latest in the series of books written and photographed by Michael Haag, which includes Alexandria Illustrated and Cairo Illustrated.